Rat On A Snowboard is a free Windows 8 game that allows you to play as the rat who has to control the snowboard in the snowy and windy weather. It’s really fun to play as the rat who plays on a snowboard, and what’s even better is that the controls of the game are amazingly simple to understand and get accustomed to. When you launch the game, you can choose the game play mode that you wish to play and from there on, you can select the level. Controlling the rat is very easy, and to do that, all you have to do is to use the right/left arrows for speed and the up arrow button for jumping. You can perform multiple jumps while in the air to get maximum air and points! 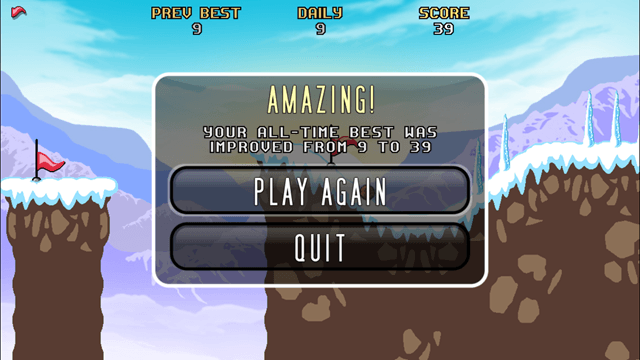 Rat On A Snowboard is really addictive and you can download it for free from the Windows App Store. The best part is that the game works just fine on Windows 8.1 devices as well! Right/ Left Arrow: These buttons can be used to control the movement speed of the rat, or acceleration, if you might want to call it! Let’s read more about the game itself now! Rat On A Snowboard is a really fun game to play, and I absolutely love the adorable little rat with his helmet and his snowboard. Upon launching the app, you will be presented with the main screen of the game where you can choose to Start, view the Options or check out more games by the developer. The options menu allows you to change the aspect ratio of the app, link it to Facebook, clear your high scores, and all other geeky stuff. To start a game, you might need to click on the Start button in the above screen, upon doing which you will be asked to choose the level that you wish to play (see screenshot below). As you can see in the screenshot above, you can choose from a lot of levels, and when you click on your desired level, your game will start! The above screen shows you the gameplay. The graphics are pretty cool, and you can see your score and other details on the top of the screen. If you are using a touch screen device, you can simply tap to start gameplay, swipe right or left to control the speed and tap on the screen to initiate jumps. The number of jumps that you do will be indicated by the green dots below the rat’s snowboard. In the above screen, you can see me about to die, as I jumped my way into the cliff!! Once your game is over, you will be presented with the result screen. You can either choose to play again or to quit the game. Overall, you will love the in-game experience! Smooth gameplay, works on both touch and non touch devices. 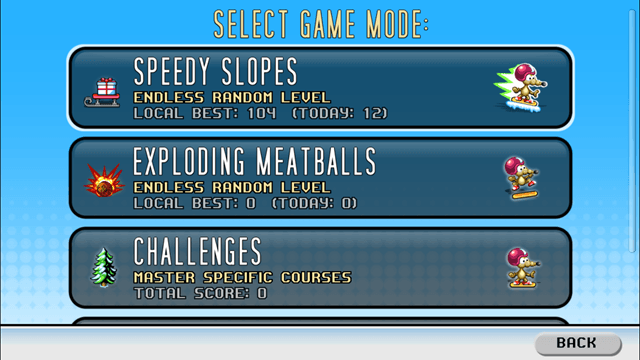 Endless jumping type game so the only way to get game over is to die. Rat On A Snowboard is a pretty slick game that can keep you or your child entertained for hours. 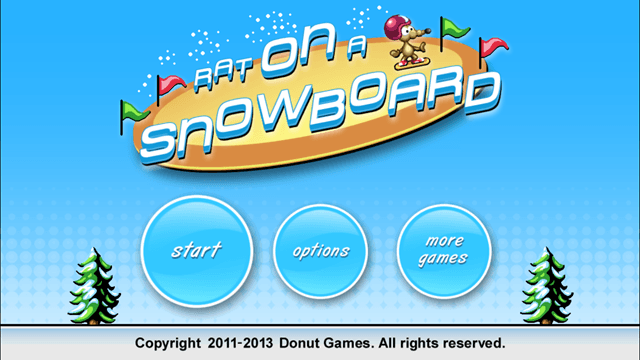 You will fall in love with the cute rat and his antics with the snowboard! The game ran extremely smooth on my Windows 8.1 machine, and I did not have qualms with the gameplay, and neither will you! This game deserves a 4 out of 5.